George W. Bush is back...in billboard form. 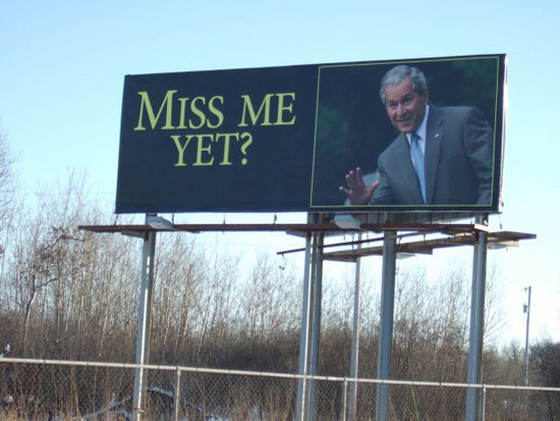 Hovering over I-35 near Wyoming, Minn., is an ominous/how'd-anyone-take-him-seriously pic of the former president with the question, "Miss Me Yet?" UPDATE: Morphyne.com is taking credit for the billboard claiming they spent only $1,200 for the ad space.